Mobile swipe apps have become extremely popular with small businesses. Instead of having to turn away buyers because you don’t accept credit cards, you can now sell to a much larger market. Of course, there are other benefits to these apps. Whether you want safer transactions or want to sell large ticket items, there are many benefits to a mobile swipe app. 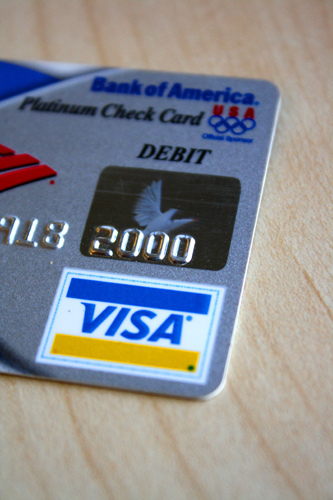 More and more consumers are using debit or credit cards to make their purchases. This means that not accepting these forms of payment can cost you a lot of money. Mobile swipe apps charge businesses small rates to accept credit and debit card transactions. However, the rate is so small compared to the increased number of sales that most businesses are happy to pay. Want to sell items at the local flea market and accept credit cards? You can. How about yard sales? You can do that too. Anywhere you have a phone signal, you can make a sell. This opens up a number of possibilities for small business owners. Whether you’re selling crafts of freelance services, you can make the sell right then instead of hoping the customer calls you to complete the sale at a later date. Accepting personal checks can be risky for small businesses. There are people out there that aren’t afraid to write a bad check and leave you with nothing. With the mobile swipe app, the transaction is completed immediately. This means you’ll be able to see that the money has been transferred and sell the item without worry. Selling large ticket items at a flea market or craft fair used to be difficult. Most people don’t carry big stacks of cash around. With a mobile swipe app, you can sell these items and reap the rewards. Depending on the items you’re selling, you may make several hundred dollars in the course of a few hours. Last, but not least, you don’t have to worry about losing all your funds from flea market and craft booth sales if you get robbed. Mobile swipe apps like those from moblized.com are secure and your money will be protected, even if the robber manages to steal your smartphone. Installing a mobile swipe app on your phone or tablet only makes sense. The ability to accept debit and credit cards for transactions will greatly increase your sales. What are you waiting for? Compare the available apps and choose an app that meets your needs.